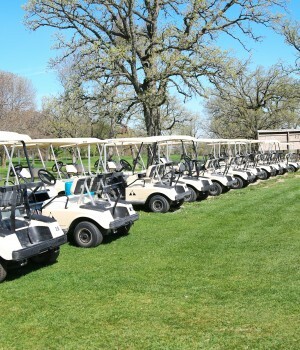 Sunset Golf Course was founded in 1937 by the Kable brothers and other prominent figures in the Mount Morris township. In 1990 the course layout changed with the addition of four holes which now play as # 4, 5, 6, and 8. The course’s most well know attraction is the 7th hole which is a 100 yard par 3 that requires golfers to hit their shot over a giant ravine known by locals as “The Pit”. On the original course layout this played as the final hole, but today it is the 7th. What seems like such a simple hole has played mind games with golfers for years. Even the best golfers have managed to ruin their rounds after challenging this hole.